HomeEducationCommonly Asked Questions Where Do The Best Sapphires Come From? Sapphires are often spoken of with a reverence for certain origins, but is the origin of a sapphire gemstone really all that important? How Important Is Sapphire Origin? Sapphires can only be found in certain locations across the globe. With our excellent and thorough experience in working with sapphires and sapphire jewelry, we have determined that origin cannot be conclusively decided in sapphires. We do not put value on a sapphire based on the “origin” of the stone. It is our experience that FAR too many inconsistencies and crossover identity issues exist between all sapphires, making it almost impossible to definitively state the origin of a sapphire. Many (if not all) laboratories will tell you that they can in fact determine the origin of sapphires, but it is our experience that they are not consistent or reliable results. If you look at the disclaimer on most laboratory origin reports they do not accept liability for results on origin determination. If a laboratory certifies a sapphire as a “Kashmir” origin the stone is worth 10 times its value if it were from another origin instead. This extreme price difference does not make sense if so many flaws on origin reporting exist. The Natural Sapphire Company does not recommend or advocate spending premiums for stones based on origin determination from a laboratory. We specify the origin of our sapphires in our listings. 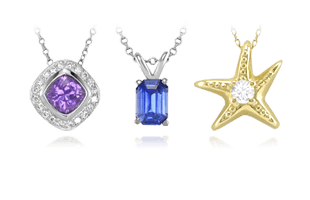 These are based on our supplier and mine location where we know the sapphires originated. 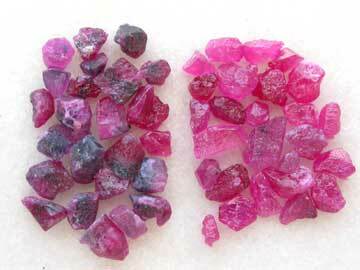 An examples of untreated rubies on the left and heat-treated rubies on the right. 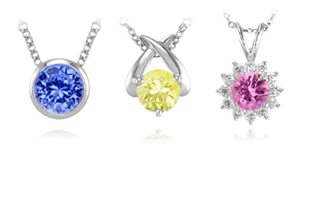 Determining if a sapphire has been treated or not is usually very easy and we highly recommend only purchasing sapphires that are untreated. Since we have found so many inconsistencies on origin determinations we no longer purchase sapphires or sell sapphires with a price based on origin status from a laboratory report. What is truly naturally beautiful and rare is what is valuable. The blue sapphire in the Kate Middleton and Princess Diana engagement ring is widely held to be from Ceylon. A natural blue sapphire ring with sapphire from Burma, a stunning piece in our collection. Burma (now called Myanmar since gaining independence from the British) is another long time producing country of fine sapphires. Many gemologists, retailers, auctioneers, and other stone houses will talk very highly of Burmese sapphires being the very best quality sapphires; we do not necessarily agree that this is true and fair. 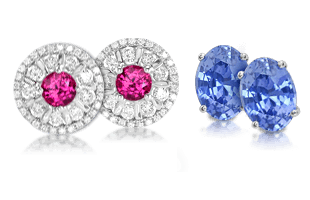 Each sapphire should be graded by its visual appearance for sheer beauty. Burma does produce excellent stones, usually in smaller quantities but larger sizes. Burmese sapphires will almost always cost 50% – 100% more than a sapphire from Madagascar or Ceylon. 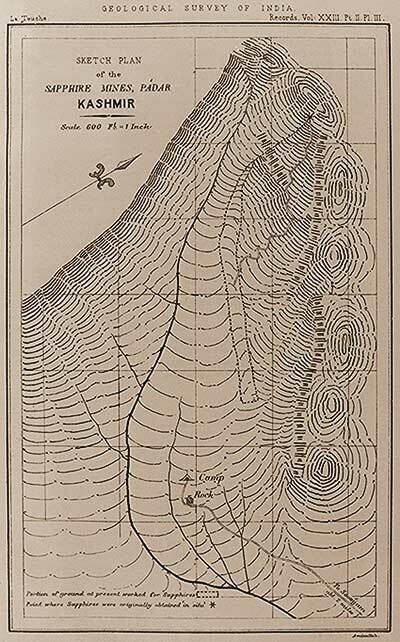 An old sketched map of sapphire mines in Kashmir. “Kashmir” sapphires are talked about in almost a mythical way these days. Kashmir sapphires were found in a very remote mountainous region of India in the late 1800s. The stones were in most cases of an exceptionally fine quality. However, the deposit was exhausted by the 1920s and there have been no significant new finds in the Kashmir area. For this reason the prices for Kashmir sapphires have been wildly valued. 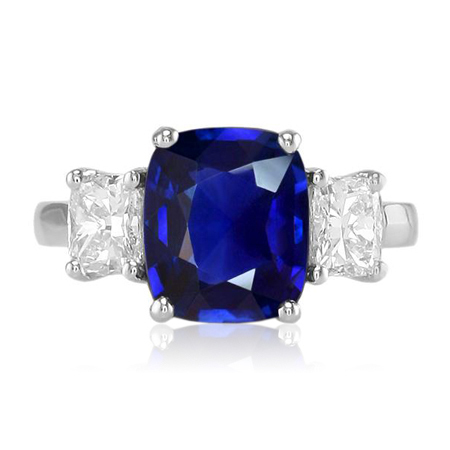 Prices can be 10 times the cost of a comparable blue sapphire from another country. Stones from Madagascar are very often described to look like Kashmir quality. 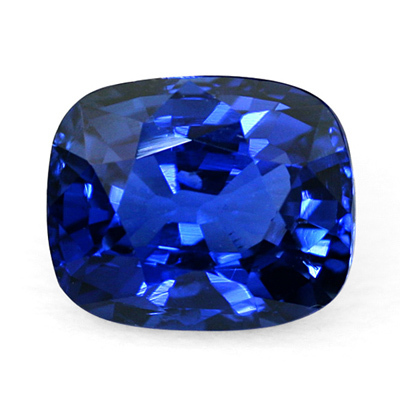 Many stones are thought to be graded incorrectly by the laboratories as Kashmir sapphires, when they actually come from Madagascar or even Sri Lanka. For this reason we do not recommend the extraordinary prices that “Certified Kashmir” demands. 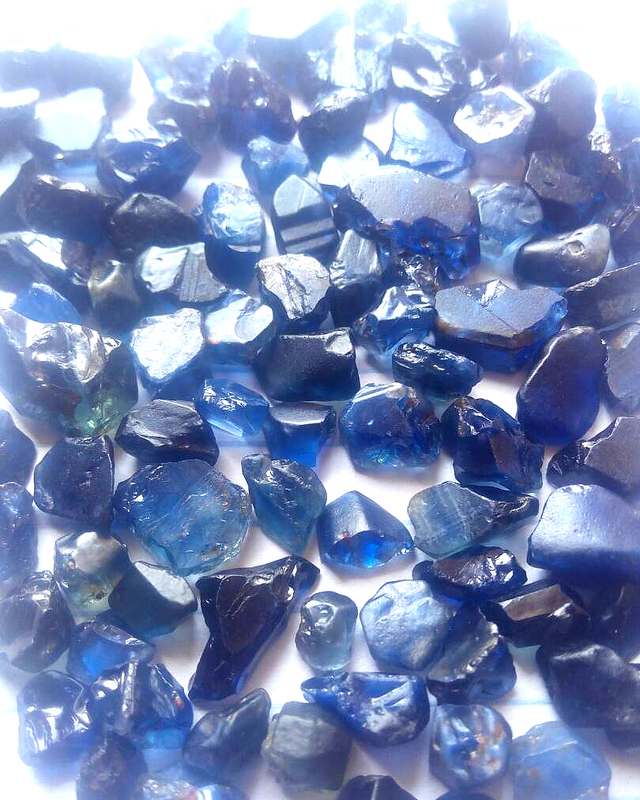 A selection of blue sapphire crystal rough, reminiscent of Kashmir blue color. Early 19th century jewelry and Kashmir sapphires played a large role together, and these stones are very beautiful indeed. We highly recommend Madagascar sapphires, as they can look identical to proven Kashmir sapphires. Of course true Kashmir sapphires exist and are documented in famous jewelry. 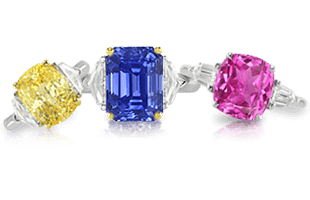 But when a fine velvety Kashmir sapphire is put side by side with a fine velvety Madagascar sapphire, it can be very difficult to determine which is finer. I don’t like that GIA started issuing reports on origin around 2010. They did this as a result of pressure from trade dealers and auction houses who wanted to have more selling and marketing angles to consumers who just don’t know what to believe about rare gemstones. A blue Nigerian sapphire in rough crystal form and after being cut and faceted. For all of GIA’s history prior to this point, they would never issue a report on origin. The science hasn’t changed, but they suddenly started issuing reports against ethical standards in my opinion. They don’t issue origin reports on diamonds, but I guess if we wait long enough they will start doing that too, but it’s also impossible to determine origin on a diamond, much like you can’t tell where the rubber came from on a car tire. No difference really when you get down to the non-proven science behind it. The only thing missing now from all this expert information about sapphires is exactly how to care for the sapphire once you get it home. 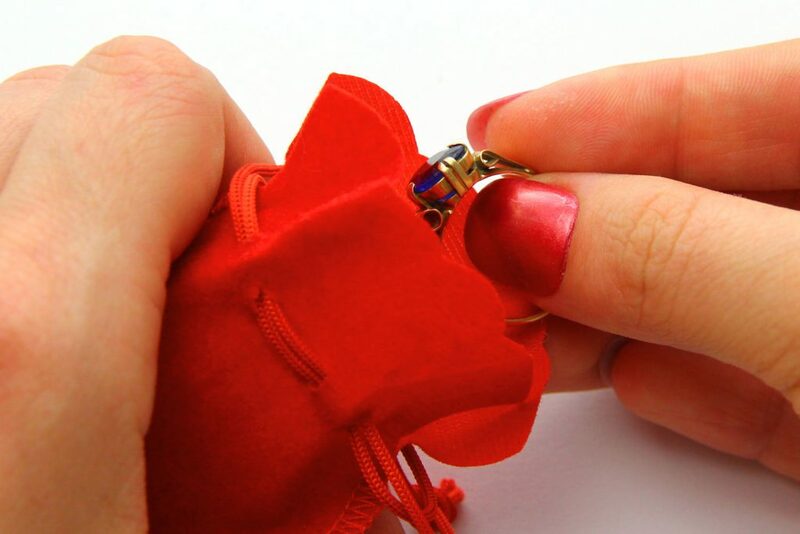 We have our best advice next in How Do I Care For My Sapphire Jewelry? Commonly Asked Questions What Is The Color Of a Padparadscha Sapphire? Commonly Asked Questions How Do I Care For My Sapphire Jewelry?